We invite everyone to the Annual Archdiocesan Pilgrimage to the Grotto of Our Lady of Lourdes in Mission on Saturday, Aug. 16, 2014. The annual Marian Pilgrimage to the Grotto of Our Lady of Lourdes in Mission will be Saturday, Aug. 16, 2014. 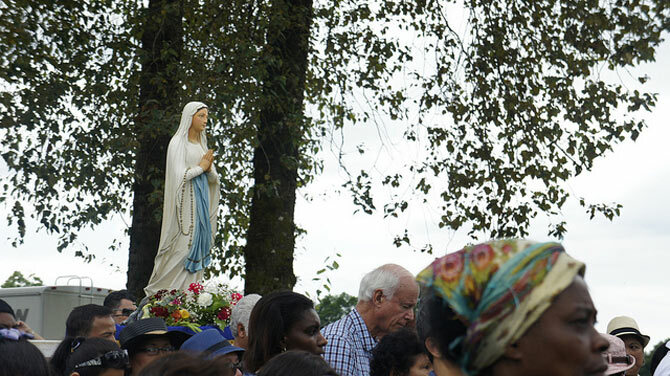 Come one and all to Fraser River Heritage Park, (east end of Fifth Avenue off Stave Lake St. from Lougheed Highway in Mission) to pray and celebrate in honour of Our Lady of Lourdes. All are most welcome! For more information, please visit the RCAV page here.